wb: 2578 mm R6 cyl. The DB6 is based on the older Aston Martin which started life as the DB4 but which has been updated with modified tail styling, and interior fittings. The seats are identical to the DBS V8. and the interior is trimmed to the highest standards. The six-cylinder engine of four litres has twin overhead camshafts and is race-bred. 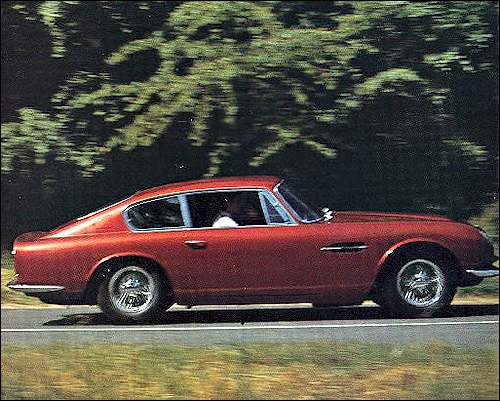 With seating accommodation for four the DB6 can exceed 140 m.p.h., and the boot can swallow a great deal of luggage. A five-speed manual gearbox is standard but a Borg-Warner tbree-speed automatic is an optional extra. Rear suspension in non-independent. wb: 2610 mm R6 cyl. 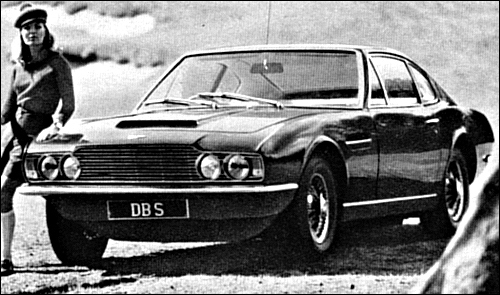 One of the most glamorous (and expensive) cars in the business, the Aston DBS V8 has a fuel-injected 5.3-litre four overhead camshaft light-alloy engine, and a maximum speed of more than 170 m.p.h. It is not just an ultra-high-performance car, for the equipment and finish are to limousine standards. 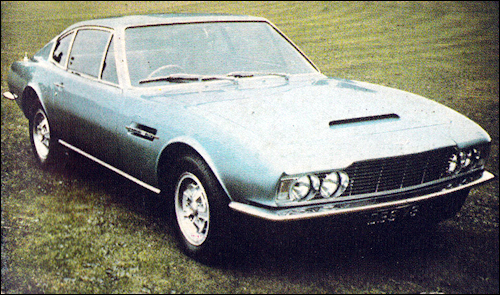 (The Aston Martin is manufactured by David Brown who also made the Lagonda car for a number of years.) 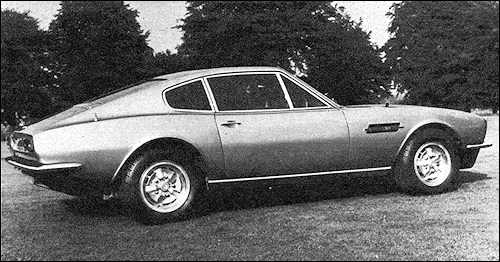 The DBS V8 has a manual five-speed gearbox as standard but is available also with Chrysler Torqueflite three-speed automatic.